Online marketing comes in many shapes and flavours. On the surface, you won’t find a more cost-effective marketing strategy than the use of PPC campaigns via sites like Google and Facebook. You are able to reach millions of people through these platforms thanks to the paid marketing methods offered by them. Many brands already use Facebook Ads in some way or another, as this can be one of the best ways to connect with new and existing targets. How can you really get the most benefit from your Facebook Ads campaign, though? We’ll spill the beans today on some great tweaks you can use to do just that. Through careful market research, you may have already learned a lot about your target audience. For instance, you may have discovered that a disproportionate share of your audience does not have children, or maybe that they fall into a higher-income bracket than the average person. In the process of maintaining and promoting brands, we collect a lot of seemingly useless information about our audience. However, this information is gold when pinging links to advertisements on Facebook. We highly recommend that you combine various interests and demographics in your ad campaigns, as often as possible. While it may look odd on the surface, inserting all of the available socio-economic data into your campaigns will ensure that your ads perform better and deliver real value. Facebook posts in general perform better when they’re videos and images. We’ve learned that the average photo or video can generate two to three times the amount of engagement and reach of a normal text post. Facebook Ads now offer so much versatility in terms of content that it’d be negligent to not use videos in your ad campaigns. This strategy can be useful for a variety of reasons. For starters, videos do a much better job of generating brand loyalty among audiences than other forms of content. Additionally, it becomes far easier to sell a product or service when you can quickly explain the benefits and advantages of it in real time. Whether the goal is more sales and more social media engagement, working the video angle will produce results. Facebook Ads has a rarely used feature known as Lookalike Audience. When you create a Lookalike Audience, you are telling Facebook Ads to run your campaign and aim it at a subset of the population that is sampled to look like your existing fan base or audience. This can be very useful for a variety of brands and businesses where likes and tastes in products/services tend to be relatively uniform across select demographics. If you have already done a good job of building your audience and that audience engages effectively with your brand, then the Lookalike Audience may be another great way to start pinging links to a relevant segment of Facebook users. 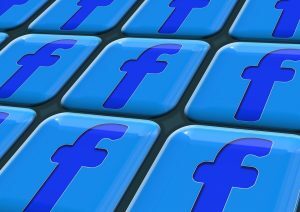 There are many different ways to improve the performance of your Facebook Ads campaign. Please take a minute to share below one tried and true tactic that works well for your campaigns!